If you would like to change your boot screen, which shows when Windows Vista loads, you can learn how in this guide. 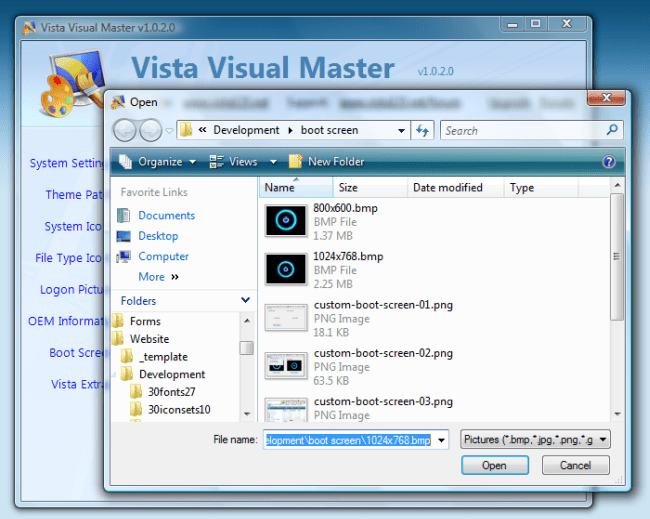 We’ll use a program named “Vista Visual Master.” Find out more about Vista Visual Master. Note: There are cases when this tweak wont work. I’m really not sure why. I tried this with three Vista computers and two worked fine–the third didn’t work. Let me know if you have any trouble. When you’re ready, reboot your computer to view your new boot screen. Its good… but whatever you do…. DO NOT USE THE BOOTSCREEN ON 7!! !